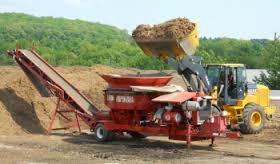 One of the greatest advantages of working with Select Materials is our ability to produce custom blended soil mixes. Not every application is the same. Do you need a quick draining soil? A water absorbing product? Slow releasing natural fertilizer? Instant balanced synthetic fertilizer? We even import special equestrian footings, coco fibers, and other materials from international sources in order to meet your specific needs. Whatever your needs are Select Materials can provide you with a custom blend to exceed your expectations.